Entire industries are being transformed, consumers have more power than ever before, and people are finding new ways to earn a living—even in today’s slow economic recovery. All of these improvements stem from the rise of the so-called sharing economy. Even in the face of these benefits, innovation is in danger of being suppressed because of overzealous government regulation that protects existing businesses—all behind the façade of consumer safety. Jared Meyer chronicles Uber’s battle against the New York City taxi industry and its supporters in the government. He shows the need to stand up for entrepreneurs and the vast benefits that they provide for consumers. As innovators tirelessly work to drive the economy forward, too often regulators function as annoying backseat drivers or roadblocks. 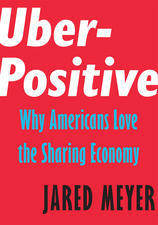 Meyer is the coauthor of Disinherited: How Washington Is Betraying America's Young (Encounter Books, May 2015) and the author of Uber-Positive: Why Americans Love the Sharing Economy (Encounter Books, June 2016). He has testified before various congressional committees, including the Joint Economic Committee, House Education and the Workforce Committee, House Budget Committee, and House Judiciary Committee. 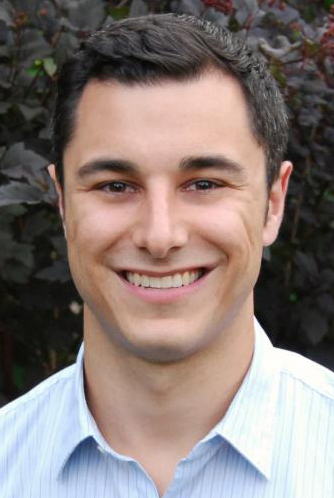 Meyer is also a member of Forbes’ 30 Under 30 for Law and Policy. Prior to joining FGA, Meyer was a fellow at the Manhattan Institute for Policy Research. He has also worked as a research assistant for the political philosopher Douglas Rasmussen. Meyer received a B.S. in finance and a minor in the philosophy of law from St. John's University in New York City.